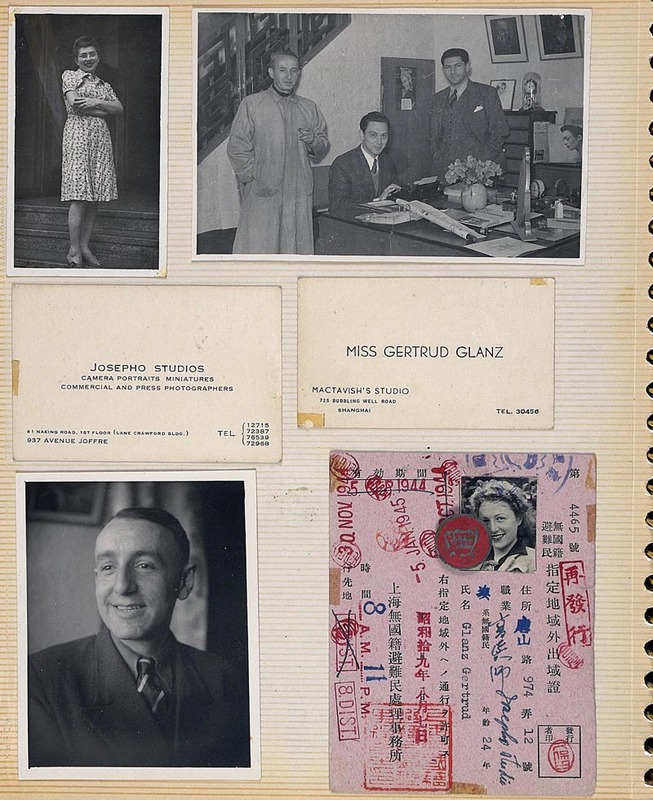 Scrapbook unearths snapshots of daily life in Shanghai for JDC aid recipients. JDC’s extensive text collection meticulously records emigration assistance across the decades by way of reports, correspondence, and passenger lists. However, the historical summaries and statistical data only tell part of the story for the refugees experiencing displacement. A recent acquisition to the JDC’s Artifacts and Ephemera Collection allows us to read between the lines of lists and sheds light on the daily life of refugees in Shanghai during World War II. 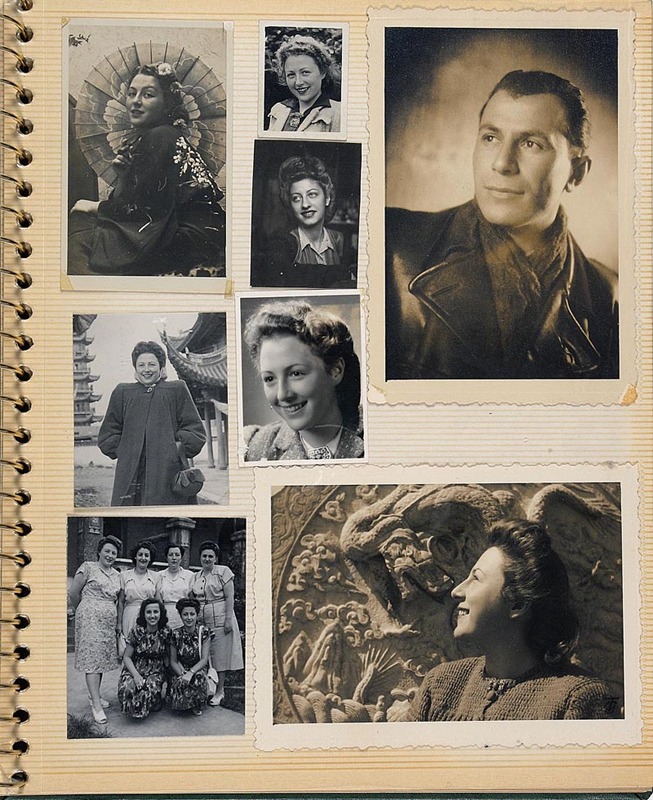 A budding photographer, 25 year old Gertrude Glanz documented her time in Shanghai by compiling a scrapbook. A Jewish refugee from Austria, she was able to escape the Nazi onslaught along with her parents Margarethe and Jakob. 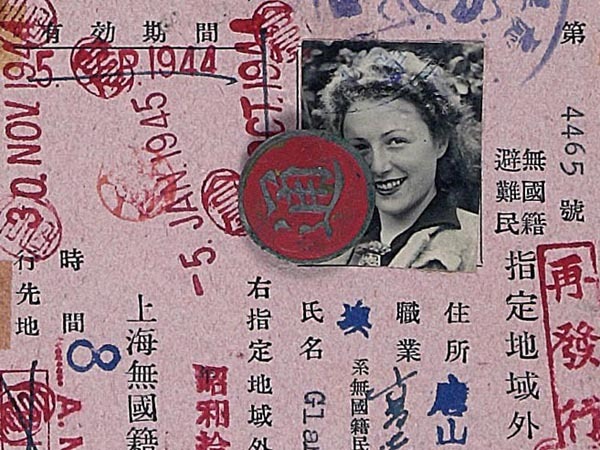 Her album is composed of photographs, resident certificates, business cards, IDs, and bills from Gertrude’s journey to and sojourn in Shanghai. The pages offer an intimate look at the continuation of life despite world upheaval. Gertrude’s creative hand can be seen as she documents the people she’s met and the places she’s been. 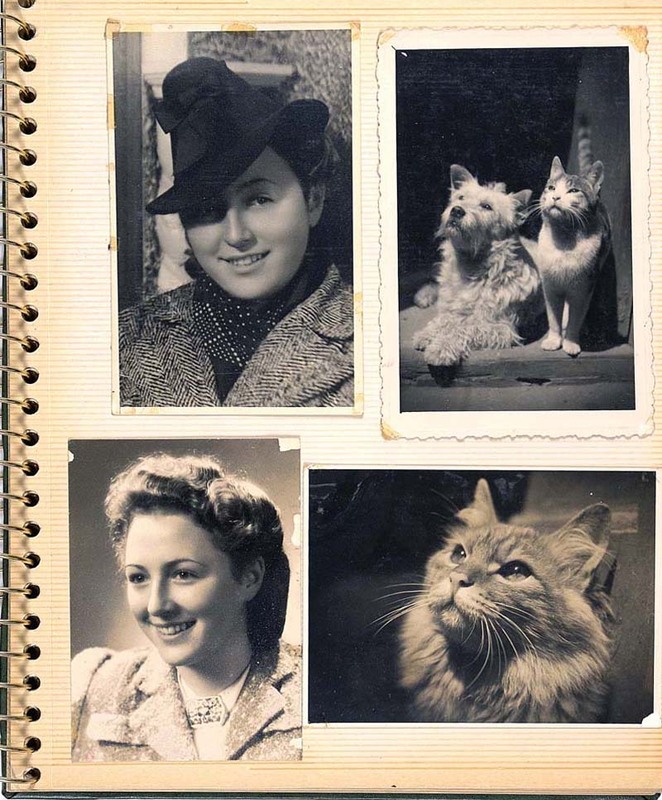 There are portraits of individuals who shared her trip by ship to Shanghai as well as animal headshots, Shanghai street scenes, and even a visit to an army base. One feels as if they are experiencing Shanghai through the burgeoning photographers’ eyes; witnessing her attempts to capture life in the studio and street, all amidst the backdrop of a new and exotic city. The sepia toned images capture the happy memories, but ephemera such as a Shanghai Hebrew Relief Society & Shelter House identification card, stamped with “Shanghai Jewish Joint Distribution Committee,” reminds us that despite smiling faces, war was brewing and daily necessities were lacking. About 18,000 Jewish refugees had fled to Shanghai, China by the end of 1941. It was the only free port in the world willing to grant them asylum without passports or guarantees of an ultimate destination. 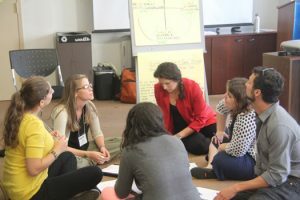 The JDC sent its representatives Laura Margolis and Manuel Siegel to assist the destitute Jews who faced deplorable sanitary conditions and drastic food shortages. In cooperation with the local Committee for the Assistance of European Jewish Refugees, Margolis and Siegel built a well-oiled emergency relief operation, including hostels to house the refugees, food programs and other critical service that sustained the refugees for the duration of the war. Together, they succeeded in organizing a system of emergency relief with the equipment needed to run steam kitchens capable of feeding 10,000 people per day. These kitchens kept the refugees alive for the duration of the war. The JDC also provided education, vocational training, built hospitals, and set up emigration offices. 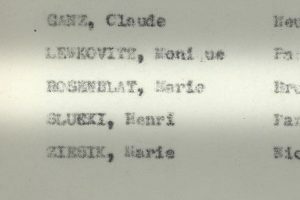 A list from 1950 of JDC’s Shanghai Refugee Client List indicates that Gertrude Glanz and her mother Margarethe were assisted by JDC. With JDC’s help, the family was able to secure passage to the U.S., where Gertrude became a professional photographer and artist. In fact, in the 1950’s, she opened a photography studio in Queens-Trudi Studios, specializing in portraiture. 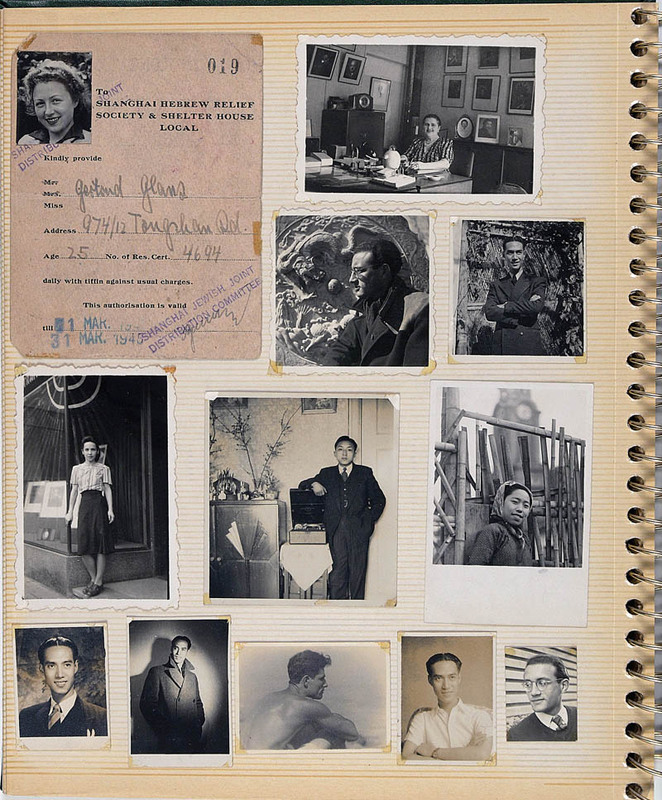 Not just a testimony of her war time years, the scrapbook also acts as a record of Gertrud’s early influences and practices as a young photographer honing her craft. Donated by Gertrud’s step son Jeffrey Hacker, in early 2018, we are honored to have this family heirloom as part of our collection. 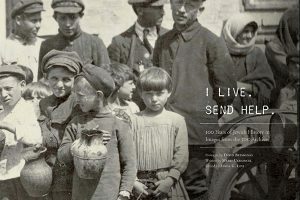 JDC continues to expand its Artifacts and Ephemera Collection and is seeking items whose history is intertwined with that of the JDC, in order to help narrate the organization’s story of rescue, relief, and renewal around the globe. If you are interested in donating a potential artifact or ephemera item to the JDC Archives, please contact us at archives@jdc.org. To view more photos from Shanghai, explore our photo gallery from the World War II era. This story has been shared with Jeffrey Hacker’s permission.